JD Rivers’ Children’s Garden	In a picturesque corner of Theodore Wirth Park sits the one-acre JD Rivers’ Children’s Garden. 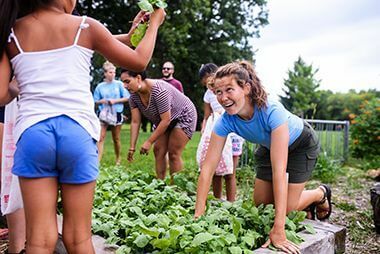 Each summer, a variety of youth programs are offered at the garden including weekly programs throughout the growing season and week-long camps in the late summer. 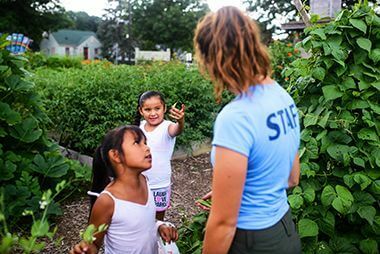 Garden staff work with local youth programs or youth-serving agencies to provide garden plots and weekly programs focused on gardening skills, harvesting produce, healthy eating, and exploring the surrounding natural areas. For more information, please email jdrivers@minneapolisparks.org. 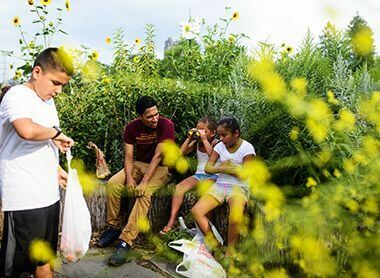 Have a group interested in learning and playing at the garden? 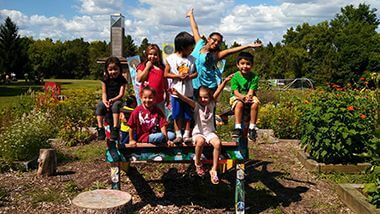 Contact our Garden Educators at jdrivers@minneapolisparks.org to schedule a visit! 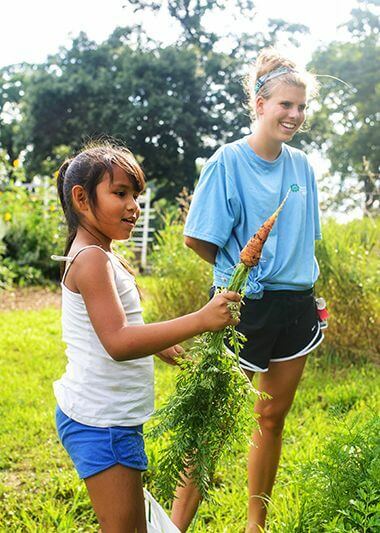 Learn more about day camps at the garden this summer! Register online for Can’n and Jam’n Camp or City Farmers Camp! 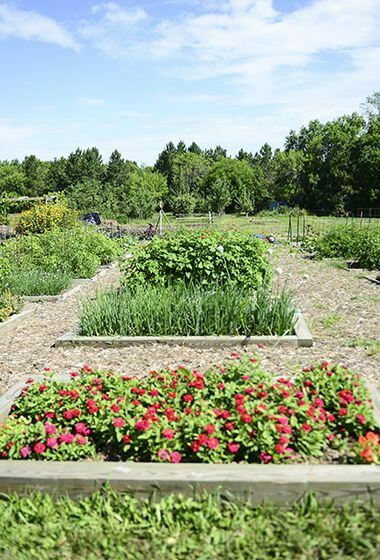 Garden is located North of Glenwood Avenue in the Eastern part of the park. Look for the big Adirondack chair. On street parking along Glenwood Avenue or at boat launch parking lot (about a 5-minute walk to the Garden). 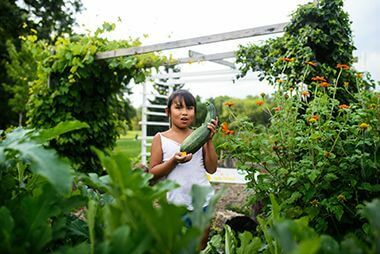 Children and teens in the youth summer programs learn to plant, weed, water, compost, preserve the harvest, prepare, and also take home the garden produce. Extra produce is donated to local food shelves. 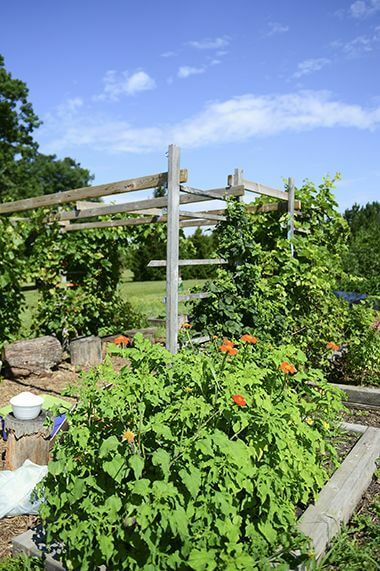 Garden produce includes vegetables, herbs, fruit, and flowers. 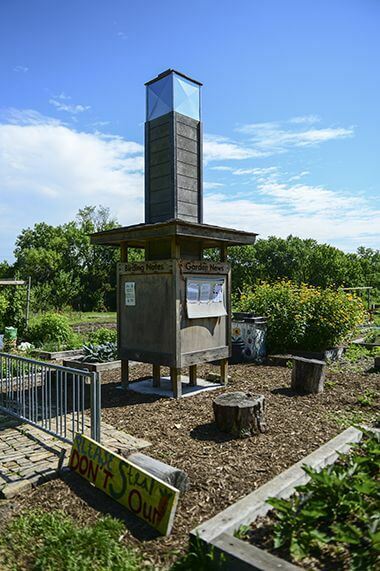 The JD Rivers’ Children’s Garden’s origins date back to the 100th anniversary of the Minneapolis Grain Exchange (MGE). 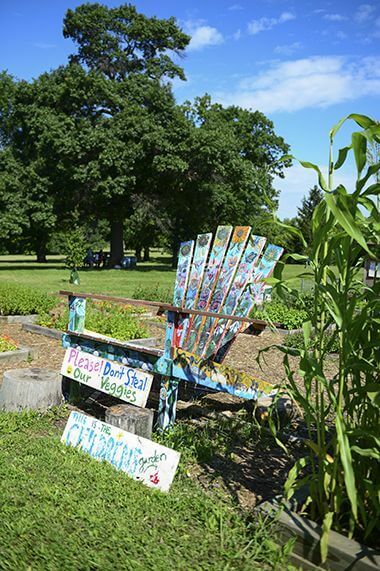 As part of the festivities, MGE selected a site in Theodore Wirth Park to plant a few acres of wheat and sunflowers, which were the two crops historically traded at the MGE. Children from recreation centers across the city were invited to see the field plowed, planted and harvested using traditional farm implements, like threshers. They used the harvested wheat and sunflowers in creative art classes. 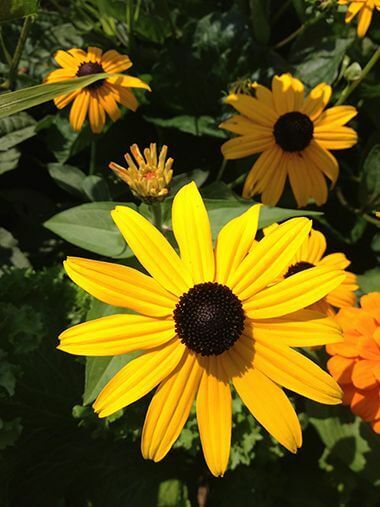 The field of wheat and the bloomed sunflowers inspired local residents, J.D. 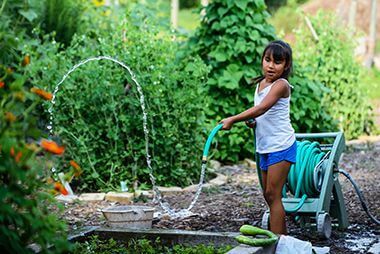 and Ada Rivers, to approach the Minneapolis Park & Recreation Board (MPRB) about creating a permanent garden for children at the site. 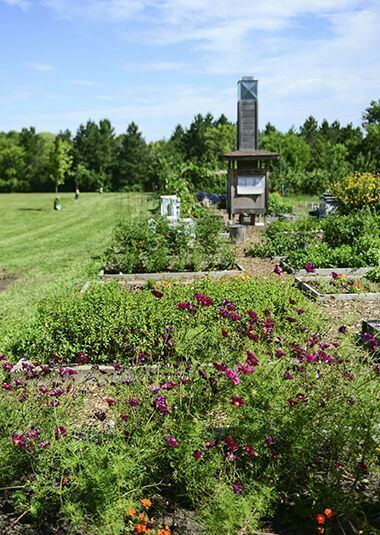 The MPRB agreed it was a good idea and in the following growing season, 1982, a children’s garden was born. 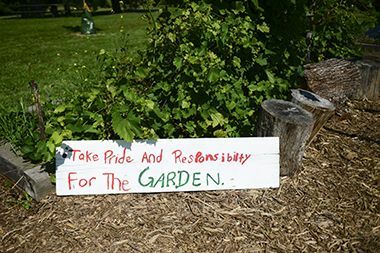 Garden is located North of Glenwood Avenue in the Eastern part of Theodore Wirth Park. 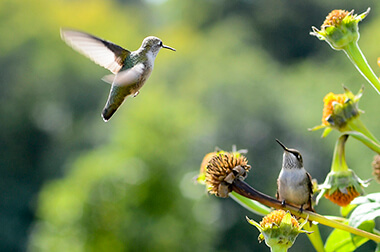 Volunteer at JD Rivers' Garden or another garden in the park system. 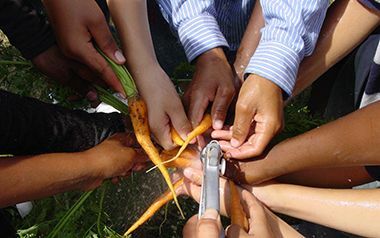 Children and teens in the youth summer programs learn to plant, weed, water, compost, preserve the harvest, prepare, and also take home the garden produce.